Known to many gardeners as a houseplant or annual, this spotted leaf native of Madagascar is considered a subshrub in the warmest zones. Pinching out the growing tips will help keep the plant compact and bushy. 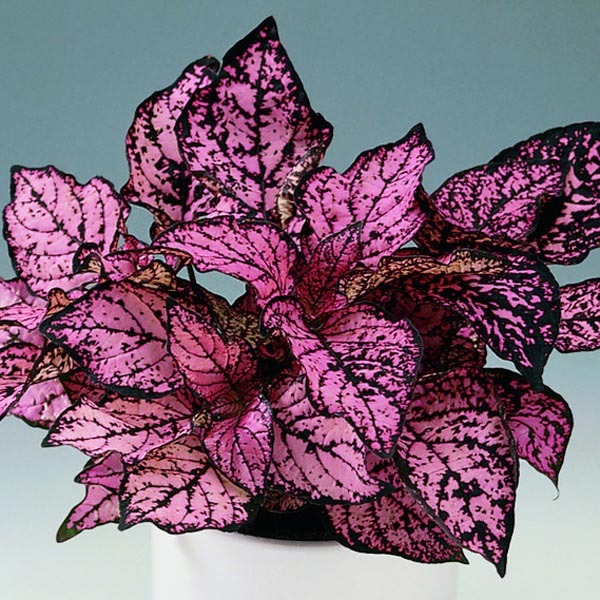 Reduce watering in winter if grown as a houseplant. Can be grown outdoors in a container or in the garden through the summer, as well as indoors year-round. Makes an attractive and unusual centerpiece for a dining or buffet table. Fertilize monthly for best display. Plant in organic-rich, well-drained soil. Keep soil moist throughout growth and bloom season. Apply a balanced liquid fertilizer monthly.